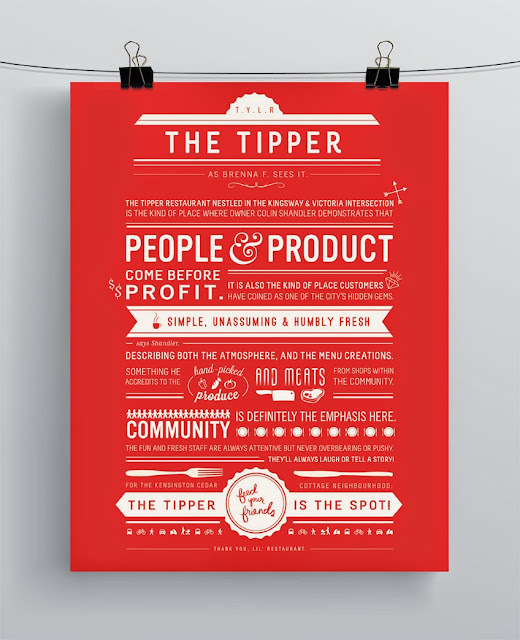 First of four videos of @theTipper Put together by Brian Calvert & his team. Thank you Brian. You do good work. Just found this on line by Paul Reid back in 2013. Thanks Paul! Greetings food fans. For the third time in a row now people we are venturing to that strip of Kingsway, between Nanaimo and Victoria, just in time to catch the Tipper as it celebrates it fifth birthday (as of May 15). The Tipper is that little piece of coolness that somehow broke off from Main or Commercial and drifted East to an area much in need of such. If you haven’t checked out this east-side eatery, featuring delicious west coast classics for breakfast, lunch and dinner, then you must. I, too, love the Tipper. On this occasion, I acquainted myself with one of Tipper’s Steak Sandwich with a side of those awesome fries with chipotle mayo. And of course an ice-cold pint to wash it down, a Red Truck lager. With pints going for $4 ($5 for a giant one! ), you can’t go wrong. Aside from the awesome food, Colin has followed through with his initial vision to help local artists. The walls serve as a rotating gallery featuring local artists and the Review Room in the back is home for local musicians and performers. (Visit the website for upcoming bookings). You too can book the back room. Talk with Colin to iron out the details. Way to go Colin! Been there twice now. Pretty standard fair, really nice staff. Solid fries, but when I ordered the buffalo burger it seemed like the patty was dry or cooked from frozen, which wouldn't have been a huge problem if It didn't cost $16+. Thanks John for waiting until your second visit to write a review. Would like to thank you too for letting us know that the buffalo burger you ate was perceived to be dry. I say perceived because we didn't discuss it in the restaurant, I read it in the review you wrote. Although, it's such a lean product that Yes it can be over cooked in just a few moments and I / we appreciate the feedback. Especially since we are extra passionate about our Buffalo and want all to enjoy. Will also let you know that The product is Fresh from Famous foods where we shop daily. Not frozen, not. Also for all those Fresh, Free Run, Organic Buffalo Burger eaters a Fresh hand pressed 6oz patty in your burger that comes with real cheddddar and a generous side at 15.50 plus tax (which we do not control) is great value. Actually should be up for review for a little increase to reflect the cost and time put into the product. You are correct a dry buffalo burger isn't fun and one of our really nice staff would like to hear about it when it is in front of you & we can fix it no fuss. Please say hi if you choose to join us again.